More proof our wedding was AWESOME! During today’s trip to Murrieta’s Well to pickup out wine club shipment, Cathy made an interesting discovery. 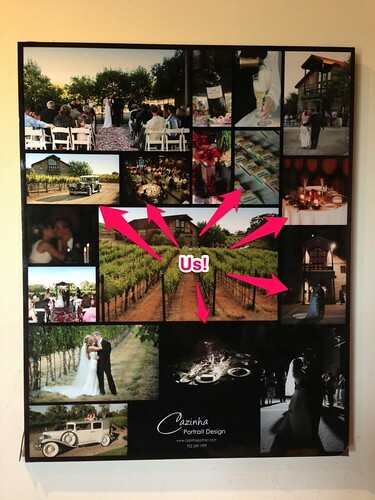 The photographers we hired for our wedding have a collage of wedding photos hanging there now. We were amazed so many of our wedding photos made it in. Next Post → More proof our wedding was AWESOME!